The next generation of iPhone will be launched anytime soon, which makes many Apple fanatics go crazy about the latest flagship. 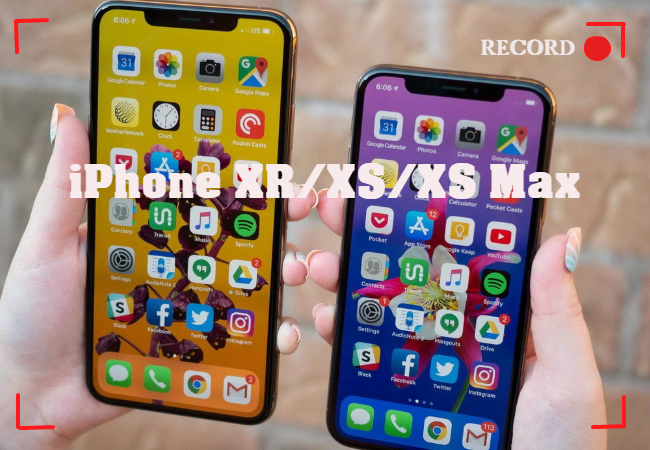 Since these devices are packed with numerous functions, some users want to record iPhone XS screen along with the XS Max and XR models for this would help them record certain gameplays, video calls, video clips, etc. Although screen recording can now be done on any iOS devices, there are still some that are not aware of it. So to shed light on this matter, here are some of the finest ways to capture your screen activities on new Apple iPhone flagship devices. 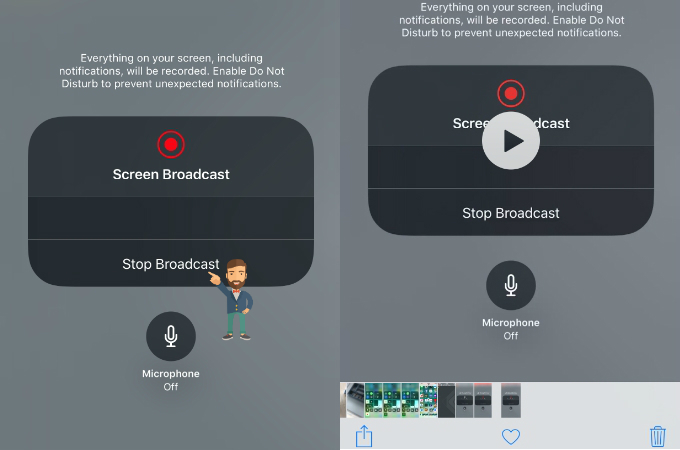 The best choice would be ApowerREC if you are looking for a multifunctional screen recorder for iPhone XS/XR/XS Max without watermarks.This tool is designed and created to serve as a full time screen recorder for iPhone. There’s no need for jailbreaks or any system alteration for this program to work. All you need to do is to get this recorder from App Store and you can use it instantly. Moreover, it allows you to manage the recording files under its built-in media library. Aside from saving the recording files to the local folder, you can also save them to cloud storage like Dropbox, OneDrive, as well as Email. 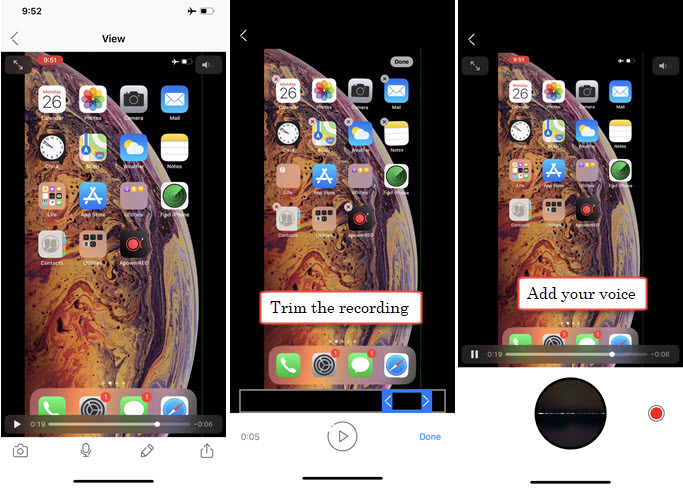 To learn how to record iPhone XS screen /XR/XS Max, here’s what you need to do. Install ApowerREC from App Store. Enable the screen recorder by going to “Settings” and then entering the “Control Center”. Open Control Center and press the screen recorder icon firmly for a few seconds. Next, you can select “ApowerREC”, and then tap “Start Broadcast”. The recording will start after counting to three. Now you can record anything you want, such as video clips, website contents, games and so much more. Once you’re done, end the recording by pressing the screen recording button in Control Center. After recording, you can playback the video as you like. In an event that you need to add your camera feed or insert audio, simply tap the file and then choose the corresponding function which you can find on the lower portion of the screen. The next free iPhone screen recorder that you can use can be found right inside your iOS device. There might still some people that are not aware of this function, but this screen recording tool was added into the iOS system couple of years ago, making it available for all iOS 11 devices. And it can also help you record iOS 12 screen as well. This is so far the most practical way of recording iPhone screen, since it is readily available on your device and it works on any devices that run iOS system. There is also no need for an additional software installation. All you need is to enable this function from the “Settings” and you’re all set. Since Apple is the one who creates this tool, we are 100 percent sure that there won’t have any incompatibility issues even with the latest iPhone models XS, XS Max, and XR. 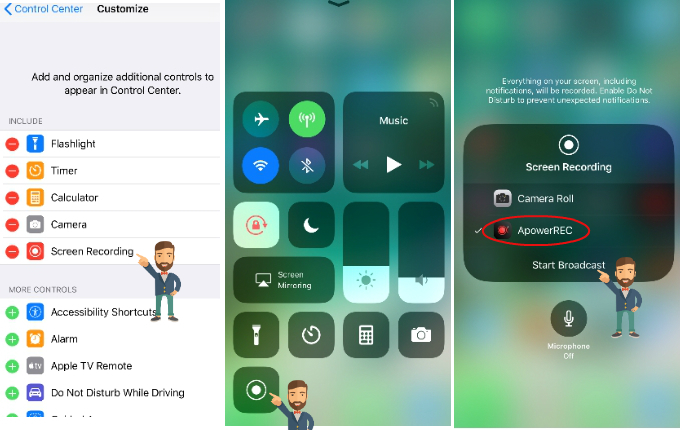 If your screen recording feature is not activated yet, simply go to your iPhone’s “Settings” and then tap “Control Center”. Next, activate the screen recorder by adding it to Control Center’s app list. (If your screen recorder is already added on Control Center, proceed with the succeeding step). 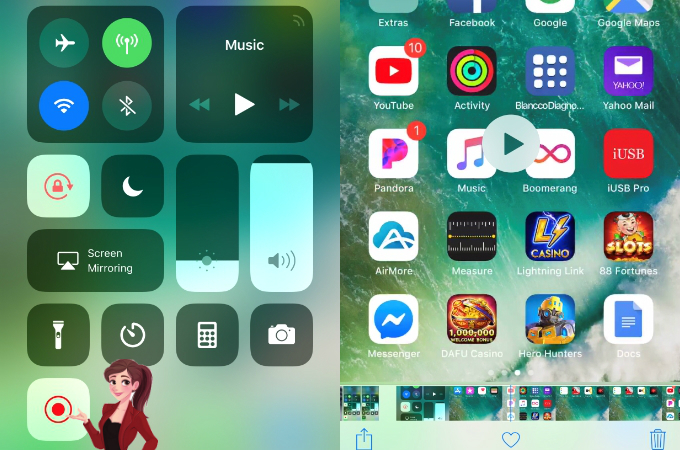 After that, swipe up till the Control Center was launch and then simply tap the “Screen Recorder” icon to start the recording process. Now, open anything that you want to capture such as a gameplay, a video clip, etc. After the recording is finished, launch back the Control Center. This time, press the screen recording icon to stop the recording. The recording files will then be saved in the local photo album. 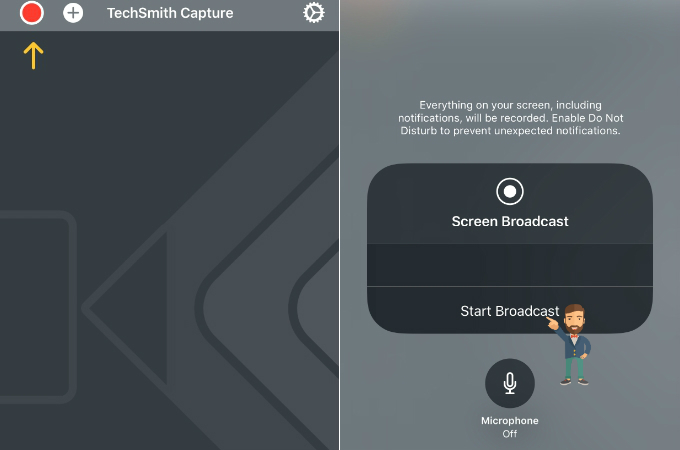 If the above methods do not meet your preference and still want to do iOS 12 screen recording, then here’s a third-party mobile app that you can try called TechSmith Capture. This tool is from the well-known makers of desktop screen recorders and it has the image and video editing capabilities. Through this application, users can record any activities on their iPhone screen. There’s no need for any system alteration to use this program, thus, simply install the program and you can use it right away. After recording, this screen recorder offers a “Share” function where you can directly share your recorded file into Camtasia or Snagit for further editing. Here’s how you can record iPhone XS Max screen and other latest models with this program. Download and install TechSmith from App Store. 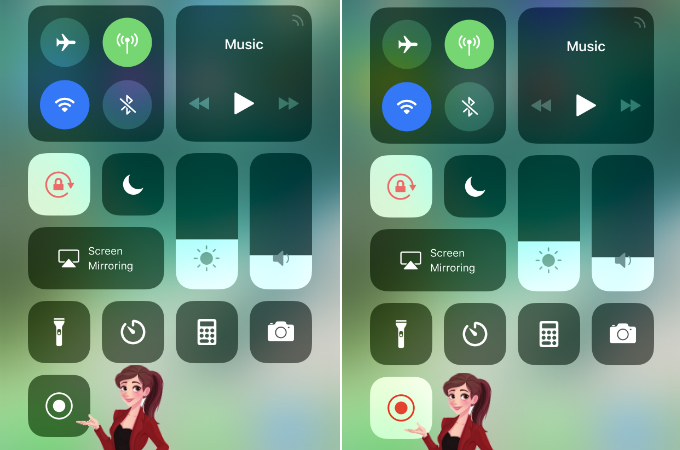 Make sure that the screen recording function is enabled on the Control Center. After that, open the app and then tap the “Record’ button located at the upper left portion of the screen. Another window will appear, next is to hit “Start Broadcast” and the recording will start in a moment. To end the recording, launch back the screen recorder and then press “Stop”. Your recordings will be included on your phone’s gallery. 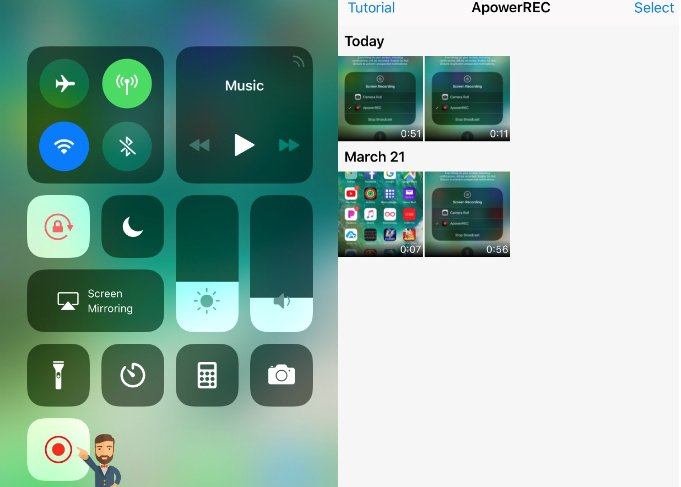 TechSmith and ApowerREC are the two recommended tools for you when you try to figuring out how to record the screen on your iPhone (X/XS/XR/XS Max). With the help of the methods above, you can record game achievements, special moments, or create an app review. Both tools are effective, user-friendly and simple. So it’s better to try both of them and choose according to your own preference.